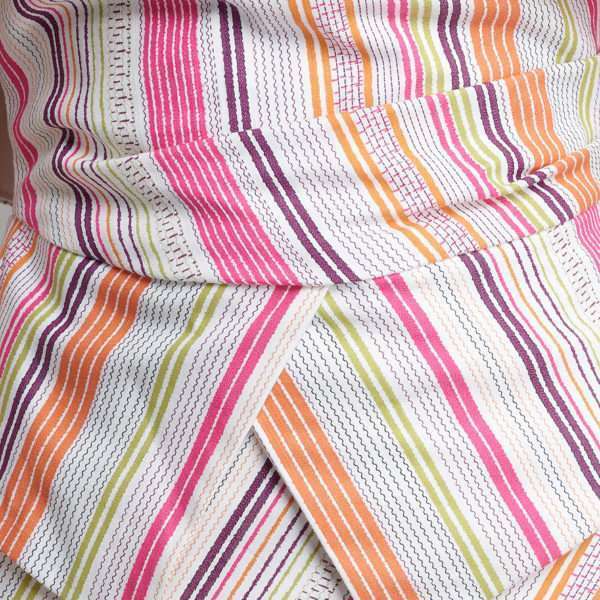 Kevan Jon candy stripe Kyoto Wrap knee dress. 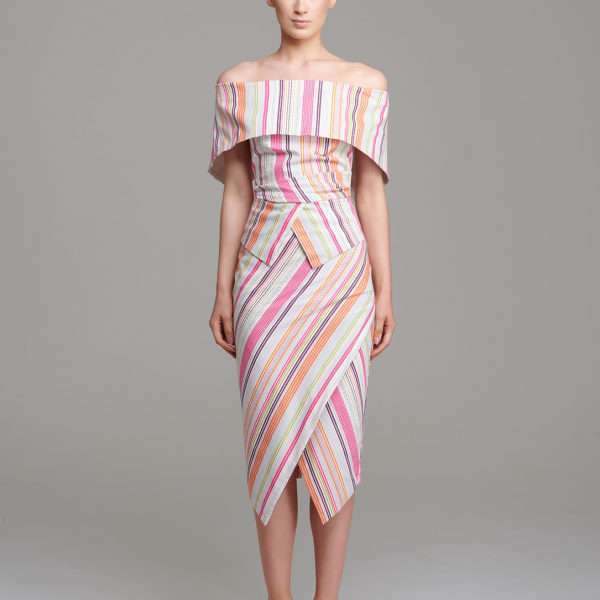 Look as sweet as candy in this fresh and bright Kyoto Wrap dress and your ready to take on the all your spring and summer weddings, parties and special events. 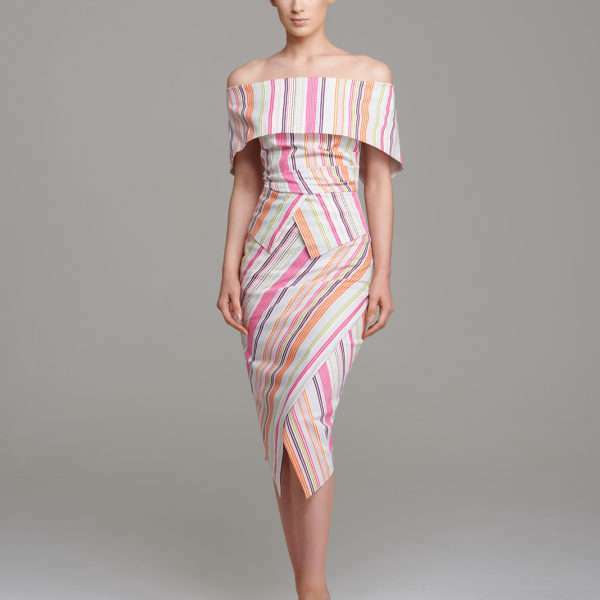 Kevan Jon candy stripe Kyoto Wrap knee dress. Look as sweet as candy in this fresh and bright Kyoto Wrap dress and your ready to take on the all the spring and summer weddings, parties and special events. 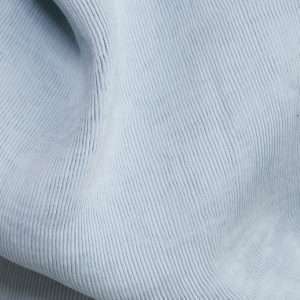 The wonderful Kyoto shape features the folded bardot neckline and wrap peplum style waist for a very flattering shape. The back features the bardot fold that comes into a point and the exposed back metal zip. This dress is great every body shape – curvier shapes get flattered and slender shapes get enhanced – it really is win win dress.